Papers may be submitted in the following categories. The editors reserve the right to change the category for consistency with CJI style. Report clinically relevant investigations or observations within CJI s scope of interests. • Word limit: 3000 words (excluding the abstract and references). • Key points should be summarized on the title page in 40-words or less. • References: 40 or less. • Abstract: Up to 250 words, structured using the headings Background, Methods, Results and Conclusions. • Tables/Figures: Data in the text should not be repeated extensively in tables or figures. Convey a focused message. Case reports should present unusual aspects of common problems or novel perspectives upon, or solutions to, clinically relevant issues. • Word limit: 1500 words (excluding the abstract and references). • Tables/Figures: 1 table and/or figure. Review topics should be related to clinical aspects of infectious diseases and microbiology and should reflect trends and progress or a synthesis of data. • Abstract: Up to 150 words, unstructured. •Tables/Figures: Data in the text should not be repeated extensively in tables or figures. We welcome viewpoints that present the opinions of the authors rather than new experimental data or literature reviews. Editorials relate to articles published in CJI and are invited at the discretion of the Editor. Please write a brief summary of your proposed editorial and email it to the editorial office. • Word limit: 1200 words. • Tables/Figures: A maximum of 1 figure or table. • References: 10 or less. • Ensure that there is a clear message in the conclusion. Invited Commentaries are timely and challenging aspects of Infectious Diseases, and are solicited by the Editor. • Word limit: 1500 words. • Abstract: Up to 50 words, unstructured. Special Sections address areas of particular interest to CJI and primarily contain articles solicited by the Special Section Editors from experts in each area. These include vaccines, infections in critically ill, travell medicine, new antimicrobial drugs etc. This feature is intended to provide a visual image of an interesting and unique infectious disease or clinical microbiology observation. Images of patients along with photomicrographs of tissues, ultrasound, MRIs (magnetic resonance images), CTs (computed tomography), PET (positron emission tomography) scans, SPECT (single-photon emission tomography) scans, angiograms, and other diagnostic visual procedures would be appropriate. A 500-word description of the clinical issue and the image should be included. There should be no more than 3 images (figures), 5 references, and no more than 5 authors. Letters to the Editor should respond to a recently published article in CID or address an issue of interest to CID readers. Replies will be published in the same issue as the letter, and are invited at the discretion of the Editor. • Word limit: 500 words. Supplements may be the proceedings of a symposium or the results of a study and are sponsored by universities, organizations, drug companies, and grants. Proposals related to suitability of topic, program organization, and production must be made in writing to the Editor. Please read these instructions carefully and follow them closely to ensure that the review and publication of your paper is as efficient and quick as possible. All material to be considered for publication in Croatian Journal of Infectious Diseases should be submitted in electronic form via the journal’s online submission system. The cover letter must include the completed contact information [addresses, telephone and fax numbers, and e-mail] for both the corresponding author and an alternate author who can be contacted if the corresponding author is unavailable. The letter should warrant that all authors have seen and approved the manuscript, contributed significantly to the work, and also that the manuscript has not been previously published nor is not being considered for publication elsewhere. Authors are asked to provide names and contact information for 4 potential unbiased reviewers. They may also note the names of individuals whom they do not want to review their manuscript. In order to reproduce any third party material, including figures or tables, in an article authors must obtain permission from the copyright holder and be compliant with any requirements the copyright holder may have pertaining to this reuse. Authors should also include a statement indicating that permission has been obtained in the relevant legend/footnote and provide the Editorial Office with copies of any relevant paperwork. Please refer to a recent issue of Croatian Journal of Infection for guidance on style and layout of articles. 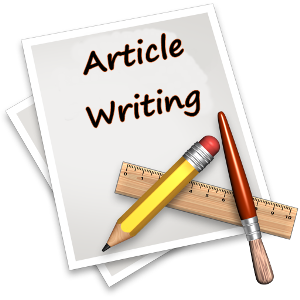 Also refer to the Article type section for guidance on relevant information for each article type. The preferred format for submitting manuscripts online is Microsoft Word (.doc files). PDF files are not acceptable for submission. Manuscript .doc submissions are preferred as a single file, except for figures, which can be uploaded separately. You must also submit a cover letter in a second file, in the same format as your main file. Videos must be submitted in the MPEG or Quicktime format. For each video, please submit a still image captured from the MPEG or Quicktime file; this image will appear as a printable figure with the article. A video must have a legend that will appear with the still image. If you wish to submit a video, please consult with the CJI editorial office for further details. Manuscripts should be double-spaced throughout, including the references and the table and figure legends, with 1-inch margins on each side. All pages, except for the figures, should be numbered in the lower right-hand corner of the page, with the title page as page 1. The recommended layout is as follows: title page, abstract, text, acknowledgments, references, tables, figure legends, and figures. 2. The names and affiliations of all authors. The first name, initial(s), and surname of each author should be followed by his or her department, institution, city, and country. 5. The complete contact information for both the corresponding and alternate corresponding authors. 6. Major Articles, Reviews, and Viewpoints should also include a 40-word summary of the article’s main point. Any changes of address may be given next to the Affiliations or in the Acknowledgments. Any deletions or additions to the author list after submission of the paper must be submitted in writing, and signed by all authors. The second page of the manuscript should contain the Abstract. Please refer to the Article Type for Abstract formats. The Abstract should be comprehensible to readers before they have read the paper and should not contain reference citations. Non-standard abbreviations should be kept to a minimum. They should be defined at the first occurrence and introduced only where multiple use is made. Authors are encouraged to follow the Uniform Requirements for Manuscripts Submitted to Biomedical Journals . They should strive for a concise article without excessive detail. All but the shortest articles should have subheadings. Details of all funding sources for the work in question should be given in a separate section entitled “Funding.” This should appear before the “Acknowledgment” section. Further guidance on Conflict of Interests is available here . Personal acknowledgment should precede those of institutions of agencies. Any substantial assistance in preparing the manuscript—for example, in data retrieval or statistical analysis—other than by an author should be stated. EndNote and Reference Manager are software programs for publishing and managing references/bibliographies, which are available from Thomson Reuters. If you use EndNote or Reference Manager to facilitate referencing citations, this journal’s style is available for use. The EndNote program and relevant information can be found here: http://www.endnote.com/support/enstyles.asp. Please follow the instructions on this page regarding purchasing, downloading, and using the software. CJI reference style is based on the Uniform Requirements for Manuscripts Submitted to Biomedical Journals . Names of journals are abbreviated according to the List of Journals Indexed for Medline. References should be numbered consecutively as they appear in the text, with the numbers in brackets on the text line (e.g., [3, 7–9, 57]). References first cited in tables or figures should be in sequence with those in the text. Unpublished data should be cited in the text as (unpublished data), but not included in the references list. References to manuscripts submitted, but not yet accepted, should be cited in the txt as (B Jones and L Smith, manuscript in preparation) and should not be included in the reference list. Citations of submitted manuscripts should include all authors involved. For references with >6 authors, the first 3 authors should be listed, followed by et al. Reference to a doctoral dissertation should include the author, title, institution, location, year, and publication information, if published. For online resources, a URL and date accessed should be included. Accuracy of references is the responsibility of the authors. Gorecki DC, Monaco AP, Derry JMJ, Walker AP, Barnard, EA, Barnard, PJ. Expression of four alternative dystrophin transcripts in brain regions regulated by different promoters. Hum Mol Genet, 1995 ; 155: 505-511. Francis V, Bastin M. (2000) Gene targeting in rat embryo fibroblasts promoted by the polyomavirus large T antigen. Nucleic Acids Res [in press]. Maniatis T, Fritsch EF, Sambrook J. Molecular Cloning: A Laboratory Manual. Cold Spring Harbor, NY: Cold Spring Harbor Laboratory Press, 1982 . Huynh TV, Young RA, Davis RW. DNA Cloning. In: Glover DM. DNA Cloning – A Practical Approach. Vol 1. Oxford, UK: IRL Press; 1988 :49-78. Public Health Service Task Force. Recommendations for the use of antiretroviral drugs in pregnant HIV-1 infected women for maternal health and interventions to reduce perinatal HIV-1 transmission in the United States. Available at: http://www.aidsinfo.nih.org. Accessed 24 April 2002. Lyon DJ, Cheng AFB, Norrby SR. Mechanisms of cefotaxime resistance in blood culture isolates of Enterobacter high prevalence of extended-spectrum β-lactamases [abstract C43]. In: Program and abstracts of the 35th Interscience Conference on Antimicrobial Agents and Chemotherapy (San Francisco). Washington, DC: American Society for Microbiology, 1995:47. All tables should be on separate pages and accompanied by a title, and footnotes where necessary. The tables should be numbered consecutively using Arabic numerals. Units in which results are expressed should be given in parentheses at the top of each column and not repeated in each line of the table. Ditto signs are not used. Avoid overcrowding the tables and excessive words. The format of tables should be in keeping with that normally used by the journal; in particular, vertical lines, colored texts, and shading should not be used. Please be certain that the data given in tables are correct. In a footnote to the table, all abbreviations used should be defined, unless otherwise defined in the text, excluding units of measure. Footnotes and accompanying explanatory material should be kept to a minimum. Footnotes should be placed below the table and designated by superscript lowercase letters (listed in order of location when the table is read horizontally). Each column must have a heading describing the data below, and units of measure must be clearly indicated for all data. These should be on a separate, numbered manuscript sheet. Define all symbols and abbreviations used in the figure. Figures and legends should be intelligible without reading the text of the manuscript. The statistical analyses used should be identified both in the text and in all tables and figures where the results of statistical comparison are shown. The use of SI units is encouraged. All data should be expressed in metric units. Temperature should be expressed in degrees Celsius. Authors are referred to the AMA Manual of Style: A Guide for Authors and Editors (10th ed., Oxford University Press, 2007) and the Chicago Manual of Style (16th ed., University of Chicago Press, 2010). For commercially obtained products mentioned in the text, the full names of manufacturers should be listed. Generic names of drugs and other chemical compounds should be used. Language editing, if your first language is not English, to ensure that the academic content of your paper is fully understood by journal editors and reviewers is recommended, though optional. Language editing does not guarantee that your manuscript will be accepted for publication. Patient’s identity must be removed in all figures (i.e., x-rays, MRIs, charts, photographs, etc.). Written informed consent is required from any potentially identifiable patient or legal representative, and should be presented in either the Methods section or the Acknowledgements. Figures should also be numbered in the order of mention in the text and should appear at the end of the manuscript and references. Figures will not be relettered by the publisher. The journal reserves the right to reduce the size of illustrative material. Multipart figures should be submitted as a single file, with panels labeled within the image, rather than as multiple files. Letters, numbers, and symbols should be clear and of sufficient size to be legible when the figures are reduced. Photomicrographs should have internal scale markers. If the manuscript is accepted, the author will be required to supply high resolution figure files for production. Save figure files in TIFF or EPS format, using CMYK colors, with fonts embedded. When creating figures, please make sure any embedded text is large enough to read. If figures contain miniscule characters such as numbers on a chart or graph, they will most likely be illegible in the final version. Minimum resolutions are 300 d.p.i for color or tone images. Any photomicrogaphs, electron micrographs, or radiographs must be of high quality with respect to detail, contrast, and fineness of grain to withstand the inevitable loss of contrastPatients shown in photographs should have their identity concealed or should have given their written consent to publication. All line drawings should have clear and sharp lines. No additional artwork, redrawing, or typesetting will be done. Therefore, all labeling should be done on the original line drawing. Faint shading and stippling could be lost upon reproduction and should be avoided. Line drawings must have a resolution of at least 600 d.p.i. at their final size. Croatian Journal of Infection offers free reproduction of color figures in the online version (figures in the print version will appear in black and white). Figure captions must be suitable worded to apply to both the print and online versions of the article. Croatian Journal of Infection (CJI) is sponsored by the Croatian Society of Infectious Diseases.. The journal publishes articles on the pathogenesis, diagnosis, and treatment of infectious diseases and on medical microbiology and epidemiology. Many articles are published with commentaries by prominent researchers, and current trends and best practices are regularly covered in review articles and practice guidelines. CJI also publishes numerous supplements devoted to single topics in the field. Authors should observe high standards with respect to publication ethics. Fabrication of data, plagiarism, including duplicate publication of the authors’ own work without proper citation, and misappropriation of the work are all unacceptable practices. The reader of the article has the right to assume that each author listed has authoritative knowledge of the subject, and that each author contributed materially to the submission. Each author will take responsibility for his or her contribution as presented in the final manuscript and the lead (or corresponding) author will warrant that the final manuscript and authorships accurately reflect the contributions of all individuals who participated substantially in the study. An author is considered to be someone who has made substantive intellectual contributions to one or more of the following: conception and design of the study, acquisition of data, analysis and interpretation of data, or participation in drafting or revision of the submitted article. All persons designated as authors should qualify for authorship, and all those who qualify should be listed. The corresponding author/guarantor should be prepared to explain the presence and order of all authors listed. It is not the role of editors to arbitrate conflicts related to authorship. By submitting your manuscript to the journal it is understood that this is an original manuscript and is unpublished work not under consideration elsewhere. Plagiarism, including duplicate publication of the author’s own work, in whole or in part without proper citation is not tolerated by the journal. Manuscripts submitted to the journal may be checked for originality using anti-plagiarism software. If an attempt at undisclosed duplicate publication is identified, the article will be rejected, the owners of the copyright will be notified, and the violation may be reported. At the point of submission, each author should reveal any financial interests or connections, direct or indirect, or other situations that might raise the question of bias in the work reported or the conclusions, implications, or opinions stated—including pertinent commercial or other sources of funding for the individual author(s) or for the associated department(s) or organizations(s), and personal relationships. There is a potential conflict of interest when anyone involved in the publication process has a financial or other beneficial interest in the products or concepts mentioned in a submitted manuscript or in competing products that might bias his or her judgment. As part of the online submission process, corresponding authors are required to confirm whether they or their co-authors have any conflicts of interest to declare, and to provide details of these. A footnote in the Acknowledgments section of the manuscript must include a statement either that the authors have or do not have an association that might pose a conflict of interest (e.g., pharmaceutical stock ownership, consultancy, advisory board membership, relevant patents, or research funding). The name of each contributing author and any potential conflict of interest for each author for the previous 2 years should be listed. The Editor and the Deputy Editors read all unsolicited manuscript submissions. All manuscripts relevant to the scope of the journal are assigned to an Associate Editor and sent to outside experts for peer review. The Associate Editor, aided by the reviewers’ comments, makes a recommendation to the Editor regarding the merits of the manuscript. The Editor makes a final decision to accept, reject, or request revision of the manuscript. A request for revision does not guarantee ultimate acceptance of the revised manuscript. Manuscripts may also be sent out for statistical review. The average time from submission to first decision is 60 days. Manuscripts that are sent back to authors for revision must be returned to the editorial office by 30 days after the date of the revision request. Unless the decision letter specifically indicates otherwise, it is important not to increase the text length of the manuscript in responding to the comments. The cover letter must include a point-by-point response to the reviewers and Editors comments, and should indicate any additional changes made. Any alteration in authorship, including a change in order of authors, must be agreed upon by all authors, and a statement signed by all authors must be submitted to the editorial office. Authors may appeal an Editor’s decision if they think it is unwarranted. Appeals must be submitted by email to the editorial office, and provide as much detail as possible about why the manuscript should be reconsidered. Please do not resubmit your article. Book reviews are solicited at the discretion of the editor. Publishers submitting a book for review should send 2 copies of the book to the CJI office. Not all books received are reviewed.